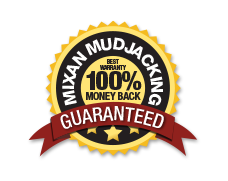 Maintenance | Mixan Mudjacking Inc. Doing proper maintenance on your concrete driveways, sidewalks, patios and steps will help make your concrete last longer and look better. We recommend sealing control joints and cracks with a polyurethane caulking (NP-1 & Vulkem - limestone color) are extremely great caulks to use on these applications. Clean out all cracks as best as you can using a high-pressure garden hose nozzle, grinder, pressure washer or screwdriver. You want to clean cracks, at least one quarter to 1/2" deep. With cracks that or more than a 1/4 deep. You can fill with silica sand, play sand, or backer rod. Spray foam or backer rod works great for large vertical areas like steps pulling away from stoops, if spray foam is used wait until it sets up, cut off even or a quarter-inch below concrete then it is ready for sealing. Before placing caulk in cracks, make sure both sides of crack are free from dirt or any loose caulking. Place approximately one quarter to a half-inch of caulk in crack or joint and smooth with finger or putty knife. If you choose to use NP-1 or Vulkem (small tube, non- self leveler), it needs to be spread out with your finger or a putty knife. The Large tubes are self leveling, this can be used on level surfaces like garage floors or driveways that are level. After sealing is done sprinkle caulk with play sand (only if you use non-self leveler). NP-1 can be found at Builder Suppy or Watkins Block, and Vulkem can be found at Home Depot or Lowes. All work 100% Guaranteed Best Warranty available. We will match or beat anyone's price. 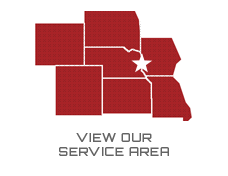 No one can match our service, warranty or workmanship. The sand will help blend in with concrete to darken. It will also prevent it from sticking to shoes when someone walks on it while it is still sticky. NOTE: Caulking can take up to 3 days to cure. Make sure all gutters are working properly and downspouts are at least 2-3' away from home. Make sure all grade is sloped away from home should have 4-8" high and 2-3' out from home. Make sure all concrete slopes away from home and all cracks are sealed to keep water out.